Old Oliver must have been an admirer of Daniel Webster, else why would he mention the man in his daily weather journal? He wrote, “the 29th was a verry plesant warm day. 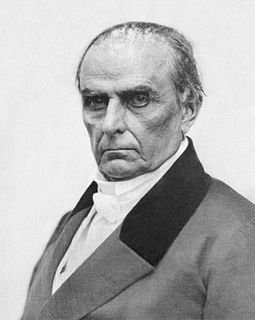 it clouded up some toward night – Daniel Webster was buried to day”. Daniel Webster, lawyer, diplomat, statesman, orator and Whig leader, was indeed buried on this day. He had died three days earlier after a fall from a horse and was buried with “impressive ceremonies”* at Marshfield, about 35 miles east of Easton. Considered by many to be one of the finest senators ever, Webster had also been a Secretary of State, U.S. representative, constitutional lawyer par excellence, and a devoted preservationist of the union. To the latter end, he co-authored and spoke eloquently on behalf of the Compromise of 1850, which included the controversial Fugitive Slave Act. As a result, he lost the support of many New Englanders; abolitionists washed their hands of him. 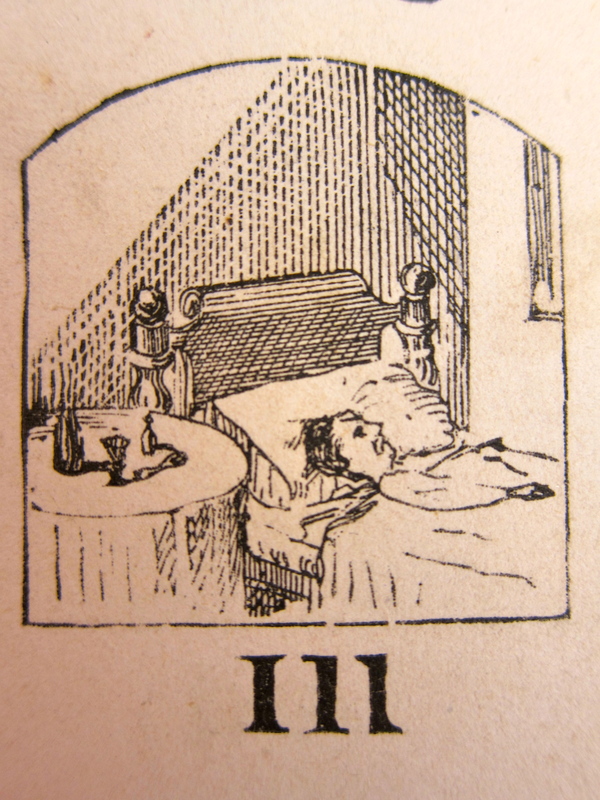 A young neighborhood wife named Eveline Brett was ill, probably with childbed fever. Evelina went to stay with her during the night, taking her turn with family members and other neighbors to watch, suggesting that some must have thought that the new mother wouldn’t survive. Evelina’s personal experience on this occasion was especially rewarding. The young mother confided that Evelina’s presence was truly comforting and that if she recovered, she hoped she could go to Evelina for advice. Happily, Eveline Brett would indeed survive her illness and, in the future, bring her baby by to visit the understanding woman who had given her such comfort. Evelina gave us one of her own recipes today, for sausage seasoned with salt, sage, savory and pepper. She “tried the lard,” too, meaning that she boiled it down somewhat. And she probably used some of her new cookware in the process, while young Susie Ames helped grudgingly with the dishes. As usual, Evelina cooked on a grand scale, inviting speculation as to just how much food her family ate. With a husband, three grown sons and a still-growing little girl all at the dinner table, we can imagine that 38 pounds of sausage didn’t last long. A month, maybe? Old Oliver, meanwhile, was in forward gear. After noting the “cool” and “chilly” temperature, he seemed please to write that “we were a digging a cellar to day for a cariage hous –“ Perhaps the planning for the new stone shops had inspired him to add another building – a carriage house – to the list of new constructions. Mr Colwell came after Orinthia she will commence her school Monday. Eveline Brett, wife of George Brett, a bootmaker, was a twenty-year-old who had recently given birth. The baby had survived – at least so far – but she herself was “dangerously sick.” She likely had come down with childbed fever. It took a Hungarian physician named Ignaz Semmelweis to realize that women with home births had fewer cases of the fever than those women who gave birth in maternity wards. He determined “that washing hands with an antiseptic solution before a delivery reduced childbed fever fatalities by 90%.“* Publication of his findings was not well received by the medical community, but he was right. Young neighbor Augusta Pool Gilmore invited Evelina and Orinthia Foss to midday dinner. This was a sweet gesture, perhaps intended to thank Evelina for her many kindnesses in welcoming Augusta to the village. The young bride may have been excited to debut her skills as a hostess. However well-meant the invitation was, Augusta still had a lot to learn about entertaining. Evelina, a matron who had welcomed many guests to her dinner table over the years, saw much to judge wrong and in her diary took a snide swipe at the young woman. 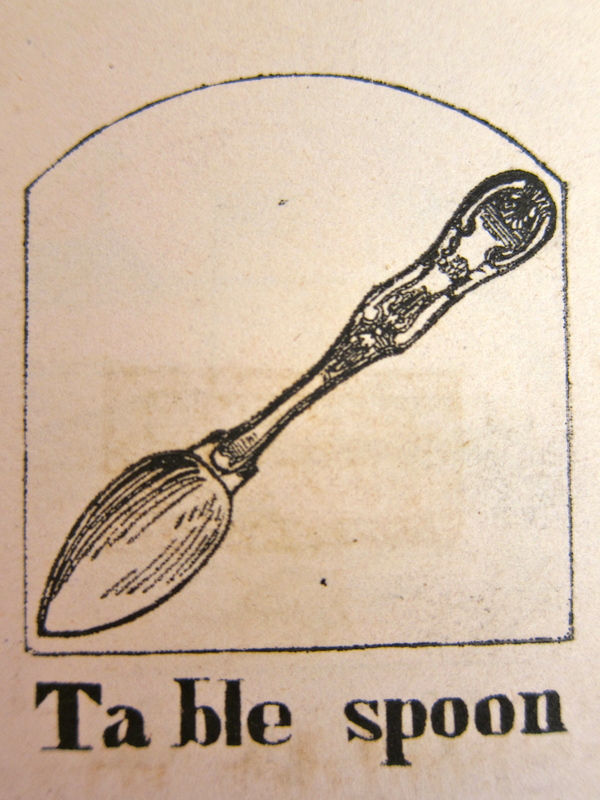 She criticized Augusta’s faux pas in laying out the wrong cutlery and failing to serve them properly. While Evelina forgave Augusta her missteps, because the young bride “knew no better,” she also condescendingly noted that Augusta needed to spend time with the Ameses to “learn politeness.” Such scorn was perhaps exacerbated by the presence of Orinthia, who was always looking for ways to laugh. Innocent, inept Augusta was an easy target. Evelina’s natural empathy returned in the afternoon. She visited other friends and called on another young woman in the neighborhood, Eveline Brett, who was doing poorly after having given birth.